St Mary’s Priory Church will play host to the second Civic Service in a Month when it hosts the Abergavenny Town Mayor’s Civic Service at 11am on July 8th. The Service will look at Leadership. In the light of recent scandals about how people have misused their positions of leadership, the Mayor’s Chaplain Fr Mark Soady will give examples of leadership from the Bible. 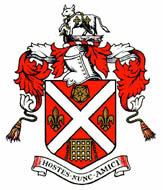 The Lessons will be read by the Mayor and Deputy Mayor, Cllr Chris Woodhouse. The Communion Motet will be Give us the wings of faith by Ernest Bullock(the organist and Master of Choristers at the Coronation of King George VI). The Hymns include All things Bright and Beautiful and Give me joy in my heart. 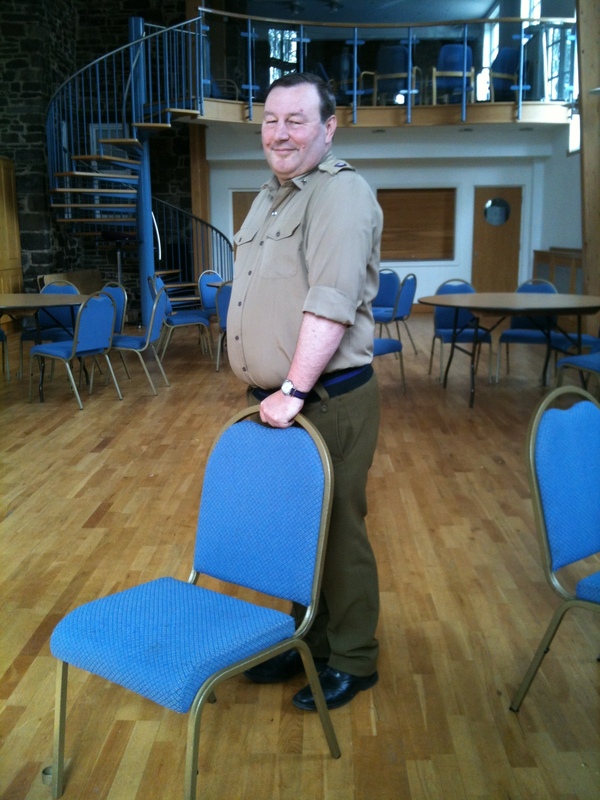 OUR VICAR, Fr Mark is wearing his army chaplains uniform to work today as part of the Armed Forces Week, wear you Uniform to Work Day. Uniform to Work Day will mean many reservists leaving their suit and tie ( or dog collars) at home and donning their Forces uniform to wear to work instead. Last year, thousands of reservists took part in the initiative to show their pride in giving their time for their country. Uniform to Work Day is part of the build-up to Armed Forces Day, when the public are encouraged to show their support to serving personnel and their families, reservists and veterans. When I was a boy, at home, music was an essential, everyday part of life. We sang, we learned musical instruments, we played. My grandmother was a talented amateur violinist, my father had been destined for a career in music before the second world war intervened. I was fortunate in so many ways, supported by a Christian family, with inspirational teachers who saw potential in me, and exposed from an early age to all sorts of music. Every Sunday we went to church, and then for a number of years I had the privilege of singing each day in a cathedral. Here we learnt and came to love (or maybe not love) many different styles and qualities of music, and we discovered how to differentiate and recognise quality and relevance. But at this stage, it wasn’t an expression of faith, so much as just “what we did”. We enjoyed it, we strove to sing better, to please our choirmaster, and we absorbed it all. Then, as a teenager, I had to decide for myself what was important. Music had become an even greater part of my life, but away from home at music college, did I still want to go to church, what did it all mean, what was it for? And out of this self-questioning came a rising awareness that what we were doing in church involved some of the finest music ever composed, and was that a coincidence? No; here was music that meant something and mattered, not just to the people who composed it, but also to the thousands who performed it over the centuries, and the millions who heard it. to proclaim your love in the morning, and your faithfulness at night. So, as singing tied me to church music, I began to perceive that Christianity wasn’t just a vague belief in an omnipotent God, but something that was relevant to the people around me, and also to myself. The music helped me put it into context, and make sense of some of the complexities of life. One of the joys of being in a choir is singing highly memorable music. We remember pieces for different reasons, perhaps because they challenge us at an intellectual level, or perhaps because of a thoroughly singable and enjoyable melody. Today’s anthem, “They that go down to the sea”, the words of which come from Psalm 107, contains a section which sets to music “they reel to and fro, and stagger like a drunken man”. It’s great to sing, very expressive word painting by Herbert Sumsion, who composed it, and you will find that choristers young and old remember it and love singing it. At a young age, they may not understand its relevance as a passage that explains how God looks after his people, and leads them from the storm of life, into the safe harbour they seek. But they will remember it, and years later, something will trigger that memory, and then the meaning of the passage may become clear. It seems to me, that there are three aspects of music that make it such a vital part of worship. It can be a way to deepen understanding and enhance the worship of ourselves and of others. The three don’t always happen at the same time, (though they can), but they are interlinked. Sometimes, the role of the choir is to sing on behalf of others, sometimes it is to lead the singing. Some might accuse us of being an “elite”, with all the baggage that has become attached to that in recent years. But much of Christian worship is “vicarious”, done by someone else on our behalf. We can’t all celebrate the Eucharist (that’s why we have a “vicar”), we can’t all read the same passage of scripture out loud simultaneously without it becoming a meaningless muddle. The word “elite” has sadly become inextricably linked these days to “envy”, particularly by those who can’t, or aren’t prepared, to put the effort into achieving high standards. But singing in a choir isn’t about showing off, it’s about communal effort, it’s about passion, enjoyment and enthusiasm. That is one of the reasons I have always encouraged young people to be a part of any choir I have run. They bring a sense of fun and enthusiasm to the whole thing that adults can sometimes miss. They inspire us and revitalise us, and that keeps what we do fresh and exciting, and of course they have a particular vocal quality that is so special. Recently I heard on the radio a recording of the Monteverdi choir singing a piece by Tallis. It was technically brilliant, with wonderful phrasing and exquisite vocal control; but it was also completely lifeless. Something was missing, and I can only put it down to this; here was a professional choir who were there to produce an accurate and musical performance, but there was no sense underlying the performance of what it was about. There may have been Christians within the choir, but overall it gave the impression of just “singing the notes” and not of a performance with understanding. Bishop Graham Cray talks in an article I read recently about church music “making contact with today’s culture”. This could be interpreted as a call to dumb down, to seek mediocrity, but that wasn’t his point. He argues that you seek the best, and through it make contact with the deep feelings of people. For each piece we sing, will not touch all people the same way, but each piece we sing may touch someone in a new and different way, and help them understand more deeply. For me, that is what it is all about. When we plan the music for each service, we try to create a coherent whole, matching hymns and motet and voluntary to the theme and readings of the day. It’s not always obvious, and often happens without people realising, but it is there; and it can be frustrating when these efforts are ignored, or appear to be unappreciated. A case in point is the final voluntary played by the organ at the end of the service. In all too many churches it is treated as the cue for people to move and to start talking; and yet it is part of the worship, an offering to God. The year before last, during Singing Week, we sang the services one Sunday in Bath Abbey. At the end of both services, no one in the congregation moved from their place or said a word until the voluntary was finished; they viewed it as an essential part of their worship. Too often the voluntary has been relegated to background music, the point at which people turn off – quite literally I have on occasions, after Evensong, found myself playing to an empty church as the lights are turned out. Sadly, we live in an age where through the impact of the “sound bite” and television programmes moving at enormous pace, listening has become a skill that is under-valued; proper listening takes effort and concentration, but it brings great rewards to those who are prepared to try. So, to summarise, music is a living expression of faith, it can amuse, charm, annoy and challenge, it can provide comfort and can be incredibly uplifting; it is quite simply a gift for which I remain extraordinarily grateful and constantly amazed that I have been entrusted with some small skill in it by God. For I am convinced that God has given us all gifts, and we should use them to his glory. I wouldn’t be any good as a member of the tapestry group, and I would be a positive disaster as a flower arranger; but I have every admiration for people who perform those tasks, and for what they bring in different ways to the worshipping life of the church. But I can sing, compose, train and lead a choir; and if by so doing, one person is lead closer to God, it will all have been worth it. For what we do, we offer “Ad majorem Dei gloriam” – to the greater glory of God. Amen. TO MARK ROYAL SCHOOL OF CHURCH MUSIC SUNDAY on June 24th, our Choirmaster Tim Pratt will preach at the 11am Sung Eucharist. RSCM Music Sunday is a celebration of the music and musicianship that are a vital and beloved part of church life. Music Sunday is a salute in words and music to the creativity, discipline, effort, and dedication of thousands upon thousands of people – young and old, professional and amateur, singer and instrumentalist, administrator and practitioner – most of them working without expectation of recognition but who nonetheless deserve our awareness and our thanks. Fr Mark Soady, Vicar said, “we are pleased to have a great music tradition at St Mary’s. Tim Pratt has contributed much to that, but on Sunday we will have an opportunity to hear him tell us about his faith and how music interacts with that. Tim Pratt is also Headmaster of Caerleon Comprehensive School. The Venerable John Blackburn CB QHC, former Chaplain of HM’s Land Forces and one time Chaplain to the Welsh Guards will preach at the Falklands Memorial Service at St Mary’s Priory on July 29th at 3pm. Others involved in the reading include Major Malcolm Evans, former Sergeant Major (RSM) of the Welsh Guards and Lt Gen Sir Robert Hayman-Joyce. Is do today a normal Sunday, NO! 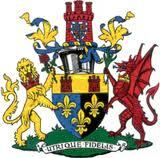 This afternoon we host the Civic Service for the Chairman of Monmouthshire County council, Cllr Maureen Powell. The Bishop of Monmouth will preach and the Mayor’s Chaplain, Fr Mark Soady will lead the service. Among the music in the service the Choir will sing The Jubilate and Parry’s version of Psalm 122 ‘I was Glad’. The hymns will recognise service and include:O Jesus I have promised to serve tee to the end. The Council’s Chief Executive will read Proverbs 3 and the Chairman will read Matthew 5 vv43-48. This evening we receive pilgrims on the CADW pilgrimage from Llantony Abbey to St Davids Cathedral. The pilgrims will attend Evensong, stay to supper and sleep in the Priory centre over night. Their journey starts, appropriately, with a Pilgrimage departing from Llanthony Abbey on 16 June. It follows the route of medieval pilgrims, kings, saints, madmen and paupers and arrives 22 days later in St David’s, Pembrokeshire. 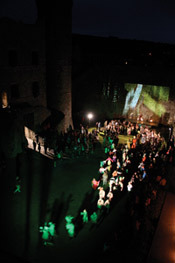 To mark this historic moment specially commissioned anthems, artworks and plays will be performed and displayed. Everyone is invited to join St David and the pilgrims’ procession for the last leg of the journey through the city and the cathedral and into the Bishops Palace where the end of the journey is celebrated in a ‘feastival’ of music, food and fun. On route the Pilgrimage will pass through castles, holy wells and ancient sites. Pilgrims will carry a stone from their home location with them. Fr Mark said, “It has been a tradition for over 1,000 years for us to welcome in pilgrims to St Mary’s Priory. We are pleased to be part of this editing project”. On Friday 29th June St Mary’s Priory will be hosting A Night of Music, the Presidents Concert featuring the Beaufort Male Choir and their special guests, the Fuglset Male Choir visiting from Norway. Craig James is Musical Director and Margaret Davies is Accompanist. The Concert starts at 7.00pm and tickets are £12.00, available from the Tithe Barn. All proceeds from the event are going to The Jeremy Winston Memorial Fund.